Yesterday when I dropped into the shops – I went to the organic section to see what vegetables and fruit were available. There was some corn cobs, carrots, zucchini and beetroots, a few grapes and a couple of other things. I grabbed the corn cobs and thought – right I’ll make that into something for dinner tomorrow night. 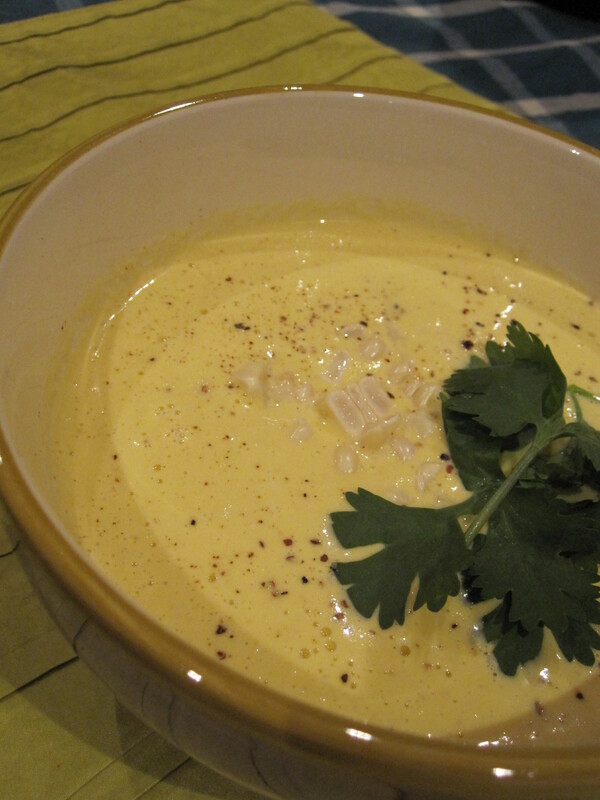 So after a quick google search for a raw corn recipe – I found this one and it certainly hit the spot tonight. Place the corn, garlic, cashews, salt and water into a blender and blender until smooth. Drizzle in the olive oil while the blender is running. Serve into bowls and garnish with coriander and pepper.